Known as the town of small trees, Ann Arbor has won several accolades including the Best Midwest Food Town, one of the Ten Best Cities for Families and America’s 5th Happiest City, just to name a few. With a vibe all of its own, there is an endless list of compelling reasons to visit the city during the summer months. 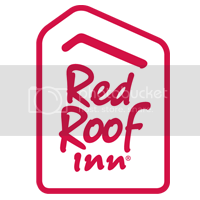 Travelers can relax and save while staying at Red Roof PLUS+ Ann Arbor – University of Michigan North (starting at 67.49) which features free Wi-Fi, complimentary breakfast, newly renovated rooms and more. a similar room in the area would cost approximately $100 more per night! Grab some bites at the annual Taste of Ann Arbor on June 5th, a free event! Sample a signature sandwich at the widely popular Zingerman’s Delicatessen; starting at $8.99. Enjoy live performances during the Ann Arbor Summer Festival from June to August. Tickets starting from $30. Shop in the Kerrytown District known for its diverse array of one-of-a-kind shops, like Ann Arbor’s Artisans’ Market or the Farmer’s Market. Buy a tank of gas and plan a one-day road trip to Detroit to explore the city that’s experiencing an unprecedented comeback. Another budget-friendly and pet friendly Ann Arbor location to stay at that is nearby all the great attractions is Red Roof Inn Ann Arbor – U of Michigan South. Creating Raving Fans During Employee Appreciation Week!